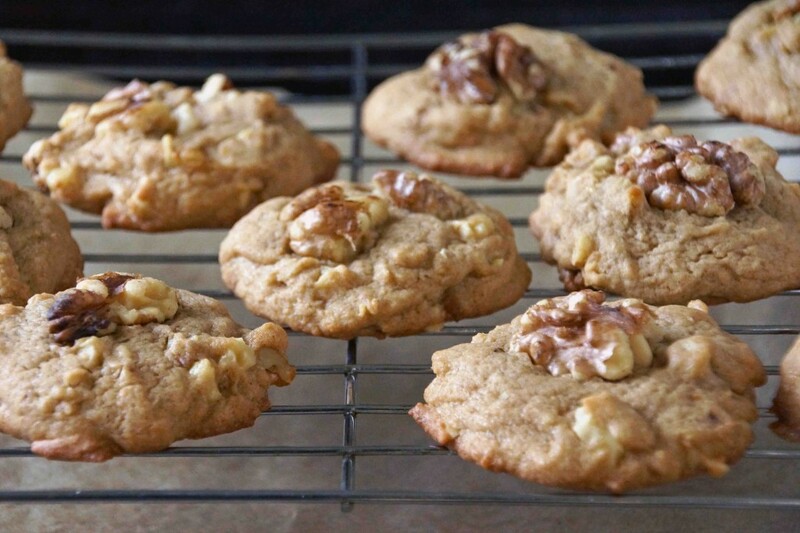 Soften a stick of butter and preheat your oven…it’s cookie time! 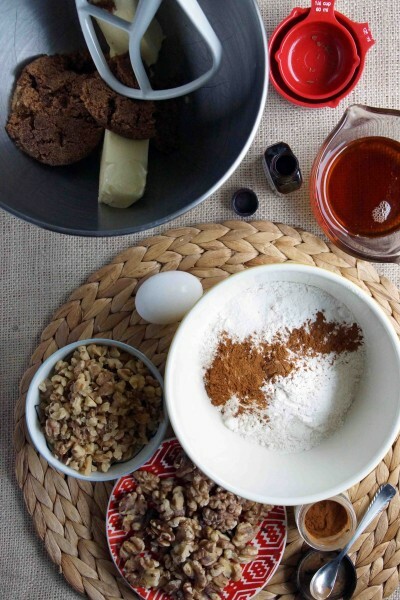 Butter and dark brown sugar go in one bowl, flour, cinnamon, powder, and salt in another. Measure out some maple syrup, grab an egg and the vanilla, toast some walnuts, and you’re ready to roll. You know the drill…cream the butter with the sugar. Then we’ll add the maple syrup along with the egg and a spoonful of vanilla extract. If you have maple extract, you could add a splash of that instead to really amp up the maple flavor. Beat ’til incorporated, then mix in the flour. 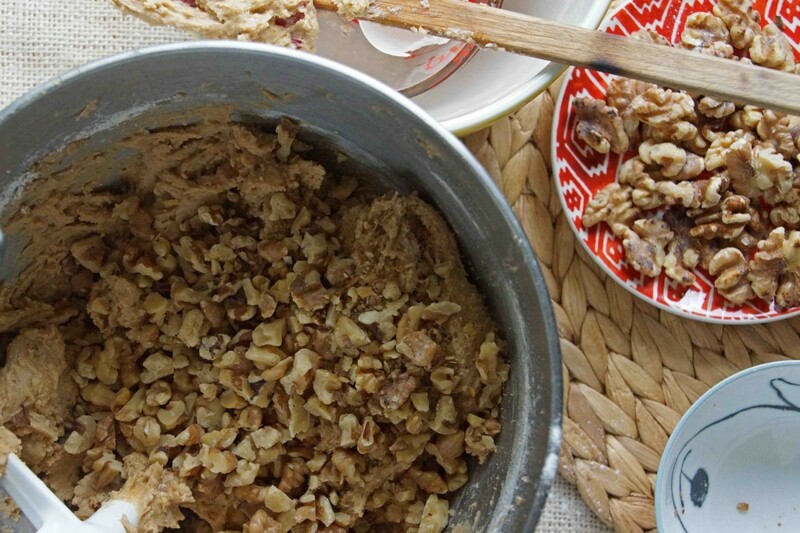 Stir in bits of toasted walnuts. Better do a little quality control and sample the dough. 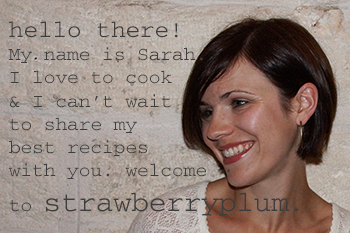 Nope, I will never going to out-grow loving cookie dough. Will you? Didn’t think so. 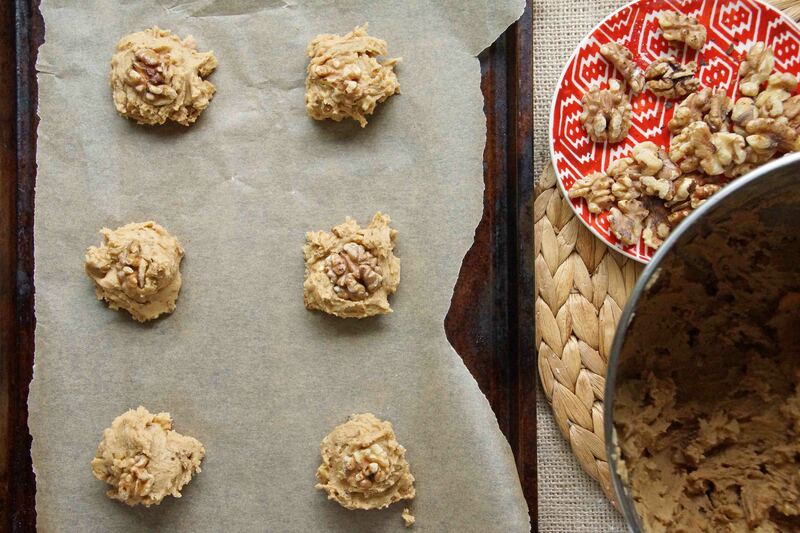 Drop balls of dough onto a baking sheet and press a walnut half into the top. Bake until the edges are golden and the centers are still a little on the soft side. 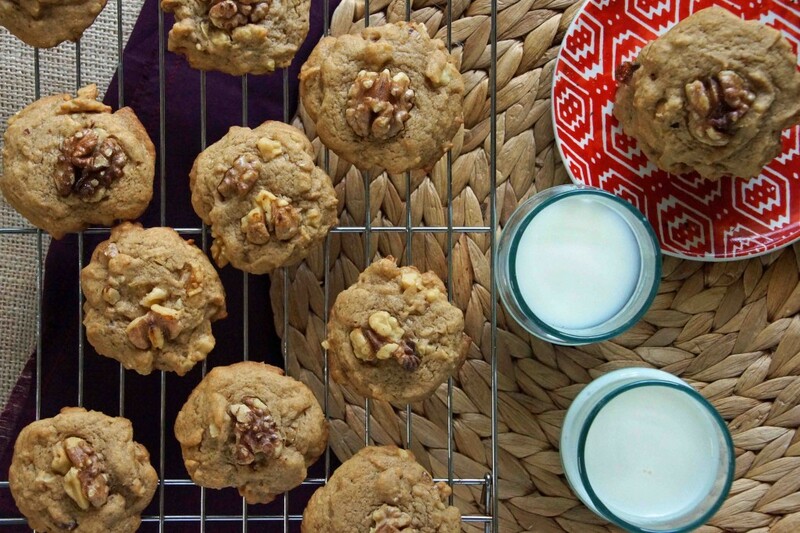 Cool on a wire rack for as long as you can bear, put on a pot of coffee, grab the jug of milk, and embrace the fact that fall afternoons were meant for cookies. 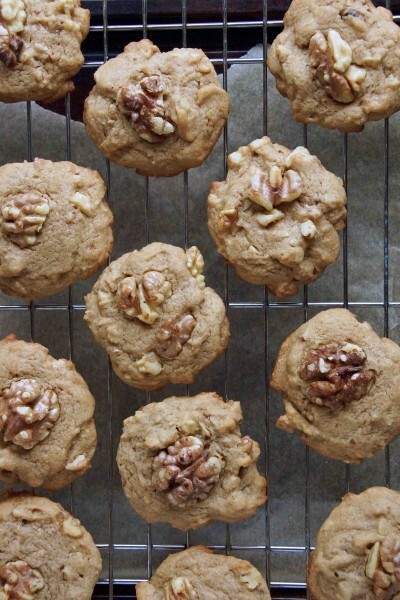 These soft maple syrup and walnut cookies are a perfect with a cup of coffee for a fall afternoon pick-me-up. Cream butter and sugar using an electric mixer until fluffy, about 2 minutes. Beat in maple syrup, egg, and vanilla. 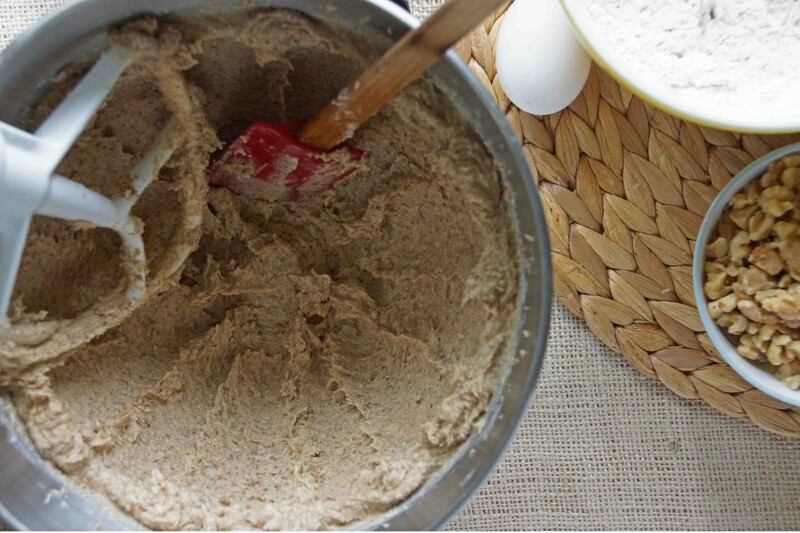 Whisk together flour, baking powder, salt, and cinnamon in a medium bowl. 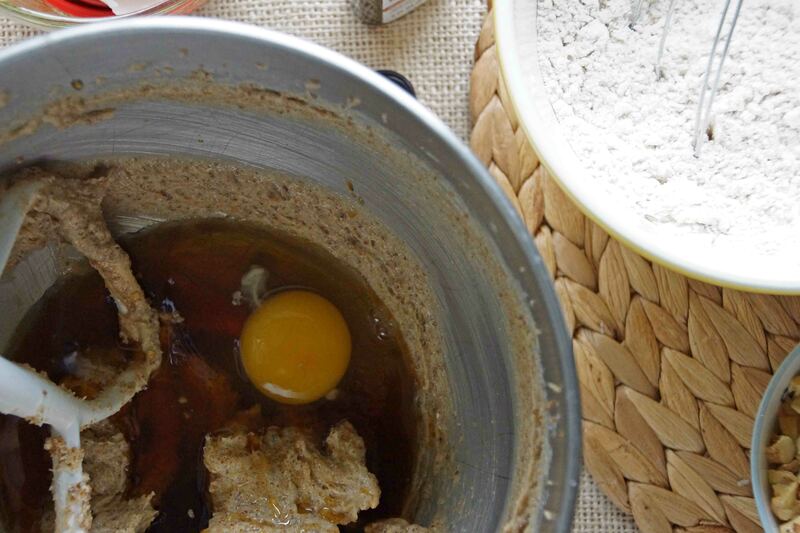 On low speed, mix the flour mixture into the butter mixture until just incorporated. Stir in the chopped walnuts. 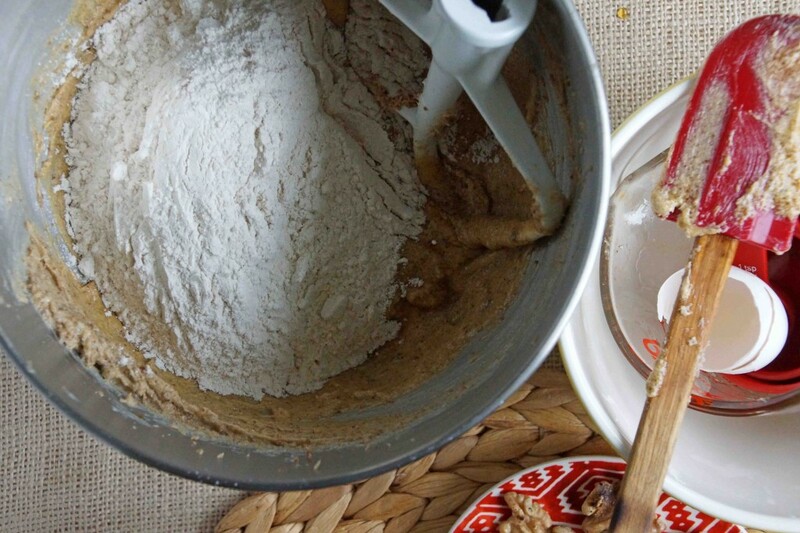 Drop heaping tablespoons of dough onto the prepared baking sheets. Press a walnut half or a couple of large walnut pieces into the top. Bake until the cookies are slightly golden around the edges and seer but still soft in the center, 12-14 minutes, rotating the baking sheets halfway through. Cool for 5 minutes on the baking sheet then transfer to a wire rack to cool for at least another 5-10 minutes before serving. Had I known I was going to see you Saturday, I would have brought some!